If you’ve never tried Pilates before, now is your chance to find out what it’s all about! 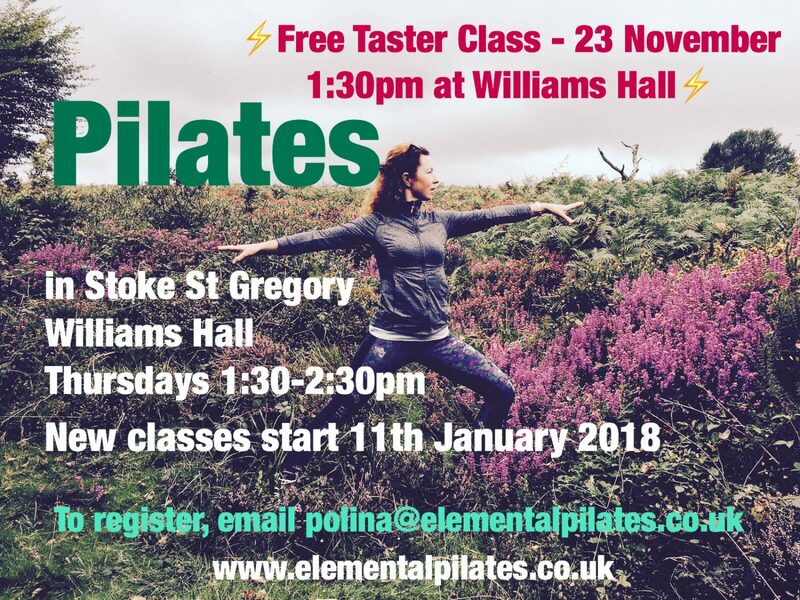 There will be a new weekly Pilates class at Williams Hall on Thursdays at 1:30pm starting from January 11th 2018. The classes will be run by Polina, an experienced and fully certified instructor, with the aim to improve the condition of stiff/painful lower backs, hips, necks, knees and joints overall. The classes will include a balanced mixture of abdominal work, flexibility and strengthening, and are also great for promoting relaxation. All abilities and age groups are welcome – you are never too young or too old to do Pilates! The classes are dynamic and fun, using a mixture of Pilates small equipment which will be provided as part of the class. Cost is £7 per session payable on the day or alternatively subscribe for a block of 5 weeks at £30 per course payable in advance. There is a FREE taster Session on Thursday 23 of November at 13:30 pm at the village hall – come and give it a go! Places are limited, so please register your name by emailing Polina directly on polina@elementalpilates.co.uk, call 07739638156 or visit www.elementalpilates.co.uk . Small, friendly group meeting in the Church Rooms. Gentle, relaxing, yet challenging exercise to improve muscle strength and balance. Suitable for all abilities. Currently running on Wednesday mornings at 10am, but other times or an evening could be considered if there was sufficient demand.